Nissin Di866 Professional has the world first color and auto rotation display screen bears simple and user friendly features of our design concept. 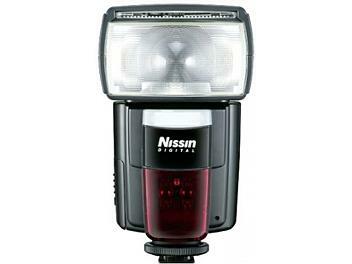 Nissin`s original feature "MY TTL" provides adjustable TTL from default level. This professional flash gives the highest G.No. 60 (ISO100 in meter at 105mm) and FP flash function synchronizes to all high speed shutter. Key features : The Color Display will automatically follow camera angle in different position and six icons interface gives user friendly operation and representing different menus - Auto, TTL, Manual/Av, Multi, Wireless TTL (Master/Remote) and Customer Setting. Various features : TTL: Supporting Canon E-TTL, E-TTL II and Nikon i-TTL. Flash light is automatically controlled by the camera but the flash exposure value can be compensated.